Triumph Control Cables, carb, choke, clutch, speedo, tach, and brake. Throttle cable, top from lever to junction, 23" for low bars 71-75 650,750 using cable stop W81607 seen below. 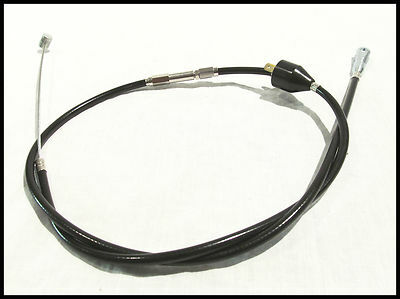 Also choke cable for 68-72 T120. Triumph #60-1818. Choke cable upper from lever to junction for 68-73 T120. Triumph #60-1818.